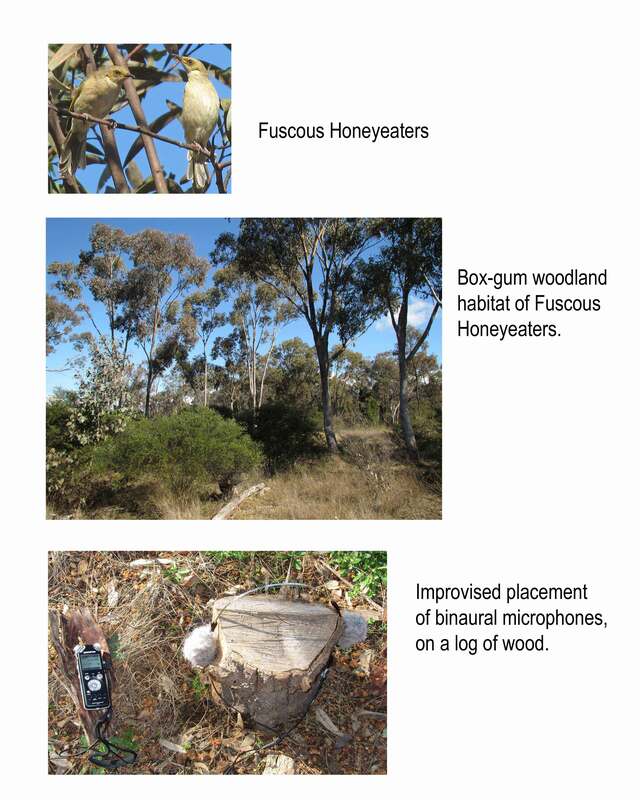 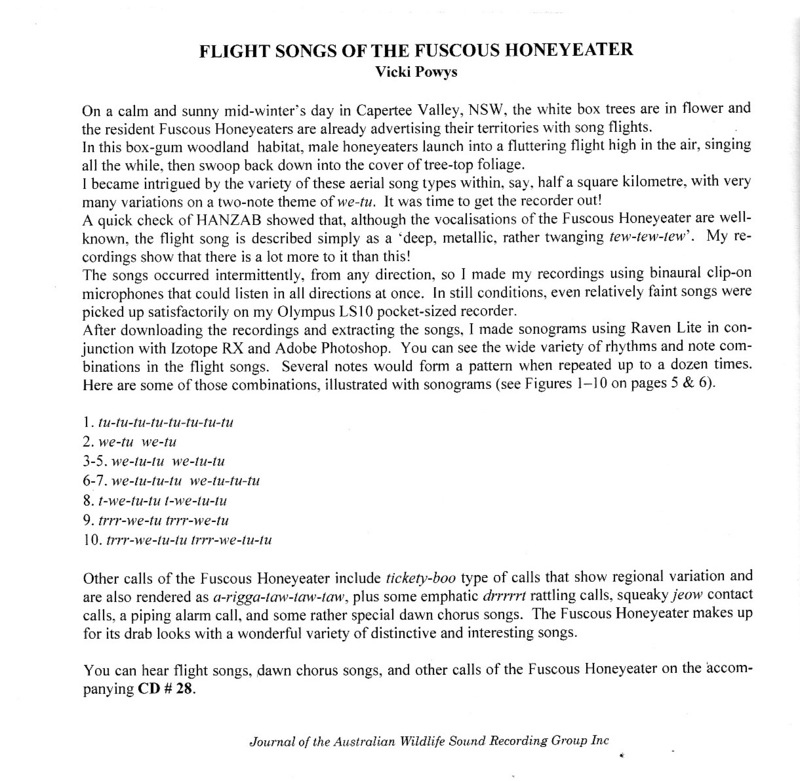 The following article on the Flight Songs of the Fuscous Honeyeater appeared in Audiowings, the journal of the Australian Wildlife Sound Recording Group, in December 2012. 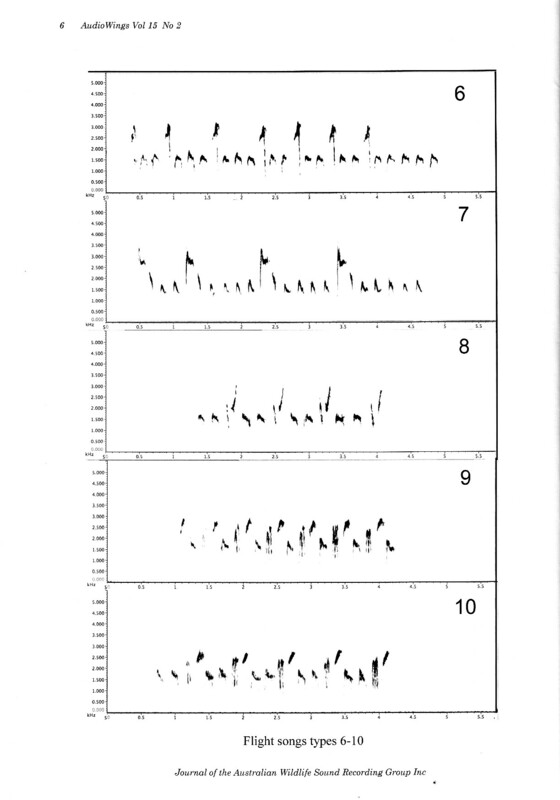 You can download a pdf copy here. 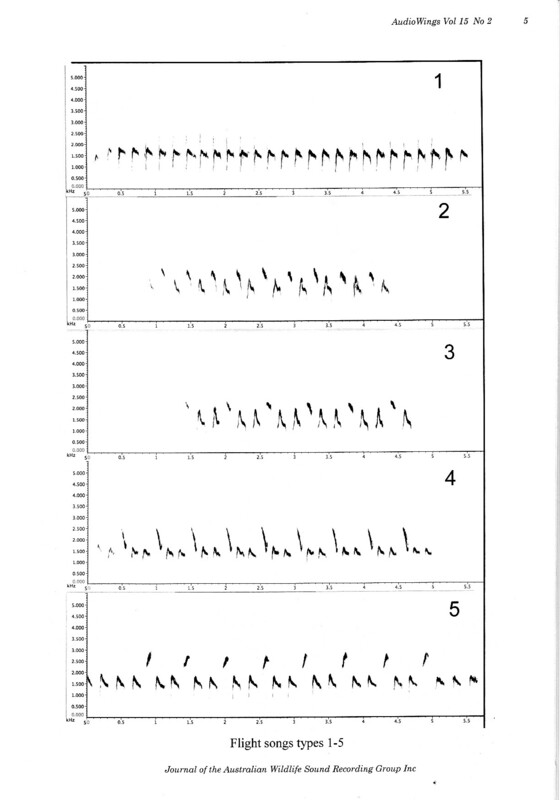 Audio to go with the sonograms is included below, and was heard on Audiowings CD # 28 dated December 2012.